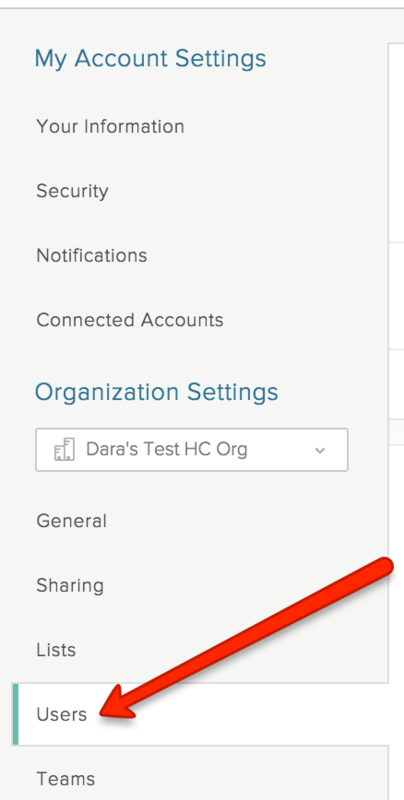 You can bring your colleagues under the same company-wide account, or Organization, in from the Home screen or from the Users tab in your Organization settings. Note: After you invite colleagues to your Organization, you can invite them to individual teams within the Organization. On the Home screen, click Add Teammates. Click at the top of the screen, and then select Settings. On the screen that appears, click Users. Enter the user’s name or email address. Alternatively, select the name from the suggestions on the right side of the screen. Enter a welcome message if desired. If a colleague is part of another Organization, you can use the method described above to add the colleague to your company-wide Organization so you're all working together. Tip: Rename the extra Organization to avoid confusion. 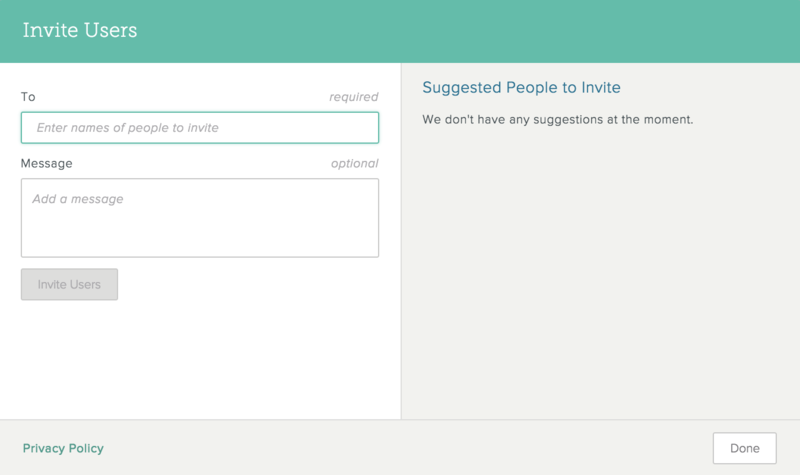 By default, any user you invite is a User on the team. You can make a user an Organization admin, which gives the user access to admin-only tasks. Note: This option is not available for all users. On the screen that appears, click Users. Click the drop-down menu to the right of the user’s name, and then click Admin. Hover over the user’s name and click . Note: When you remove an employee from your SalesforceIQ Organization, this removes that person's access to SalesforceIQ. The number of licenses remains the same based on your existing contract.